Colette Kelly Logan has been writing about health care since 2005. For several years, she managed two oncology reimbursement hotlines, answering questions from oncology professionals. Logan has also written and co-presented live health-care webinars. She holds a B.A. in English from Saint Leo University. Chlorine and bromine are toxic chemicals used for many purposes. One of the most common uses is to disinfect water. Chlorine and bromine are highly reactive and form acids in water. These acids neutralize harmful microscopic organisms. Allergies to chlorine and bromine are known as allergies type 4 or delayed allergies. While many people are sensitive to these two chemicals, allergies to them are very rare. If you think you are having an allergic reaction to either of these chemicals, consult a doctor immediately. Chlorine is found in drinking water and detergents and is used to chemically treat swimming pools. Chlorine removes germs and bacteria. Natural chlorine only has a slight odor. When it becomes dirty, such as in a pool when it binds to microorganisms, it gives off its distinct odor. A clean chlorine-sanitized pool will not give off a strong smell. Besides the small possibility of having an allergy to chlorine, a 2009 study at the Catholic University of Louvain in Brussels, Belgium led by Alfred Bernard, Ph.D., and published in the October 2009 issue of "Pediatrics" concluded that swimming in a chlorinated pool increases the risk of asthma in teenagers. Bromine is a milder form of chlorine. Natural sources are the earth's crust and seawater. Bromine is a reddish-brown liquid with a very slight bleach-like odor. It is often used instead of chlorine to sanitize hot tubs because it can withstand heat better. Although it is less odorous than chlorine, the smell it leaves behind on the body is harder to remove in the shower. Bromine requires additional chemical processes to remain effective. Therefore, it is more costly than chlorine and is less widely used. Michael J. Burns, M.D., and Christopher H. Linden, M.D., detail in an article published in the 1997 issue of "Chest" by the American College of Chest Physicians the cases of two of their patients who developed acute pneumonitis after bathing in a hot tub for 5 and 10 minutes, respectively. The patient bathing for 10 minutes had an allergic reaction that was severe enough to warrant hospitalization. The other patient’s symptoms persisted for seven months following exposure. Both patients showed signs of Reactive Airway Dysfunction Syndrome. The physicians concluded that the bromine-sanitized hot tub was not properly maintained. Allergies to bromine and chlorine are rare and should be confirmed by a doctor. Symptoms of a bromine or chlorine allergy can be severe. Respiratory problems such as wheezing, coughing, shortness of breath and sneezing are common. Other symptoms include dry skin, rash, watery eyes that burn or itch, sore throat and sinusitis. If you experience any of these symptoms, seek medical attention. An allergy test will confirm whether it is an allergy or a sensitive reaction. 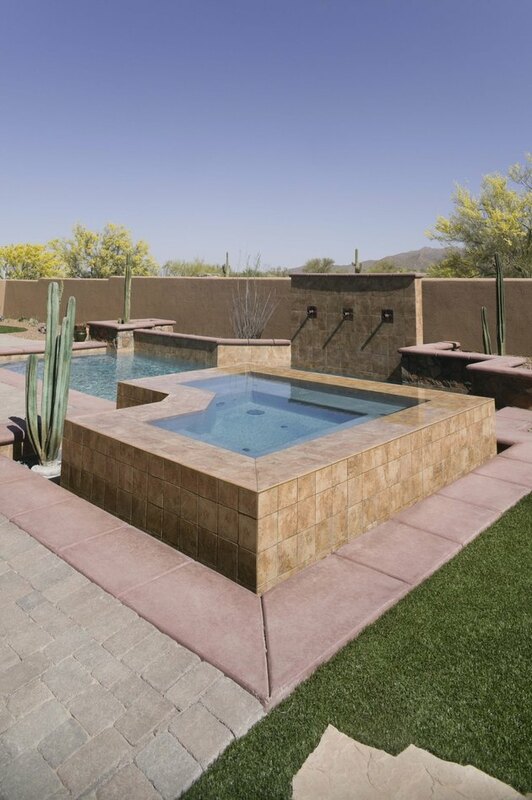 It is important to keep a pool or hot tub well-maintained to avoid excess exposure to bromine or chlorine. Always take a shower after swimming. In some cases, a doctor may prescribe anti-inflammatory medicine or a corticosteroid for a rash. Many people use nasal spray or inhale eucalyptus oil boiled in water to relieve nasal congestion. While these are popular remedies, consult your doctor before using to determine the best course of treatment in your case.